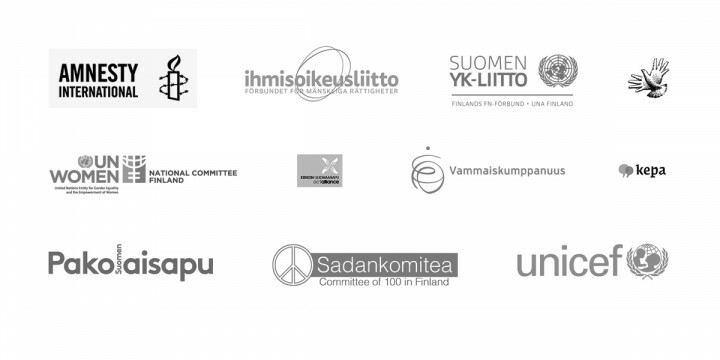 KIOS Foundation was established in 1998 as a result of the deliberations by some Finnish NGOs and the Ministry for Foreign affairs of Finland. At the same period of time, the two sister foundations, Siemenpuu Foundation supporting environmental work, and Abilis Foundation supporting grassroots disability organizations, were established. During the years 1998-2010 KIOS Foundation supported human rights work globally. KIOS accepted project proposals from all around the world. Most of the funded human rights projects were small and implemented by grassroots actors. During the years 2011-2015 KIOS Foundation focused its support to 12 countries in East- Africa and South Asia. The focus countries in East Africa were Burundi, Ethiopia, Kenya, Rwanda, Uganda and the Kivu provinces in the Democratic Republic of Congo. The focus countries in South Asia were Afghanistan, Bangladesh, Nepal, Pakistan, Sri Lanka and Tibetan civil society in exile. Since 2016 KIOS foundation has focused its support to 6 countries in East Africa and South Asia. In East Africa the human rights work is supported in Kenya, Rwanda and Uganda. In South Asia the support is channelled into Nepal, Sri Lanka, and Tibetan civil society in exile. Some of the long term partners are supported in Bangladesh, Burundi, Ethiopia and Pakistan. In addition, regional cooperation by human rights actors is prioritized in order to achieve more effective human rights work. Until 2016 KIOS was called The Finnish NGO Foundation for Human Rights, but by then, in the new statues, KIOS’s official name in English was changed to The Non-Governmental Organisations’ Foundation for Human Rights KIOS sr, which was consequently abbreviated to KIOS Foundation. The founding organisations are represented in the KIOS Board of Directors. The Board is responsible for the implementation of the purpose of the foundation and management of the assets. The Board approves the annual strategy and budget and supervises the work of KIOS Foundation. KIOS Foundation brings together Finnish human rights and development expertise, which ensures the effective channelling of the funding.